Fighting for farmers' rights and teaching them sustainable farming methods—these are two of the main objectives of Centre for Sustainable Agriculture, Hyderabad. With the funds raised through the show, the organization plans to establish a new training centre that will impart knowledge and skills about ecological farming to grassroots-level workers and civil society organizations. For this, it has bought 1.29 acres of cultivable land in Adavimasjid village, Andhra Pradesh. "Sales at farmers' cooperatives that promote pesticide-free production and organic stores across the country, jumped after the episode." Since May 2012, Kheti Virasat Mission has expanded its infrastructure and activities. 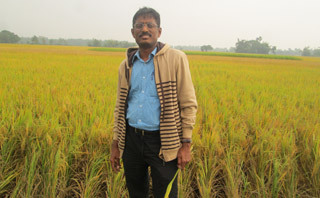 Computers and laptops have been upgraded; three organic food festivals and consumer outreach programmes have been organized; and the NGO now publishes its own bi-monthly magazine, Balihari Kudrat. 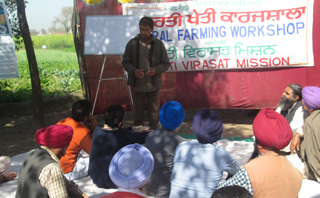 Taking the message of pesticide-free farming forward, the organization has trained farmers in 17 districts of Punjab and has adopted 14 villages in the Faridkot and Barnala districts to encourage organic kitchen gardening among women. Kheti Virasat Mission has also purchased a plot in Jaitu to construct its permanent office, which the organization calls Satyamev Jayate Kisan Bhavan. This office will also house Kudrati Kheti Gurukul, a training centre for organic farming. A mini truck has been purchased to transport organic produce from the farmers of Faridkot and Bathinda to the market. The organization's activities have found mention in various mainstream and social media platforms and above all, people have access to food that is free of pesticides. 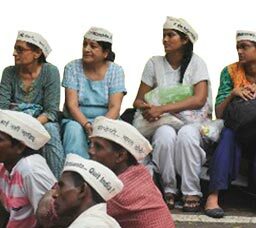 "Though Kheti Virasat Mission was known among activists, agricultural scientists and farmers even before Satyamev Jayate, the show gave us a platform to reach the masses." 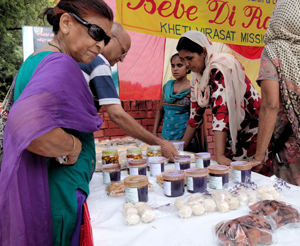 Since 2005, Kheti Virasat Mission has been working closely with the farmers of Punjab to encourage organic and sustainable methods of farming. The organization also addresses the need to conserve natural water resources and conducts workshops on topics such as environmental health and eco-sustainable rural development.